The think-thank Demos has published a study on how populist parties and movements in Europe are using online and social media to involve young people. The study reveals how media-savvy political groups of the right can push an agenda of xenophobia and extremism. 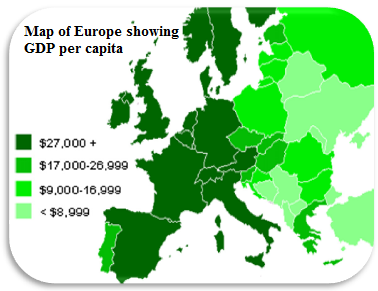 In current economic conditions this could be catastrophic for democracy and social cohesion across Europe. The Center for Intercultural Dialogue and Translations launched a report analysing video evidence from Maspero incident in Egypt. People expect that after the Egyptian revolution in January 2011, the way Egyptian national TV presents the news will change. 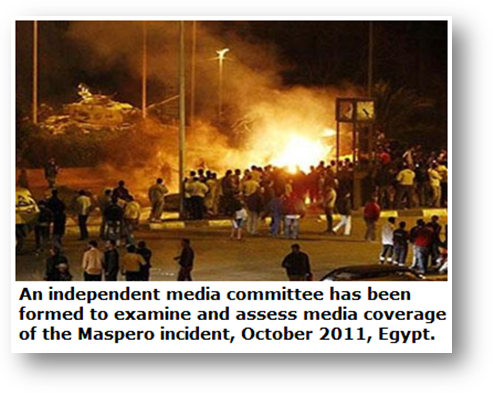 Unfortunately, the reports of Egyptian national TV on Maspero incidents in October 2011 show that the coverage was still characterised by confusion and mixing up news. Women in the UK radio industry are significantly under-represented at senior levels, according to a new report produced by Skillset for Sound Women, a new organisation dedicated to highlighting the issues faced by women in the radio industry. 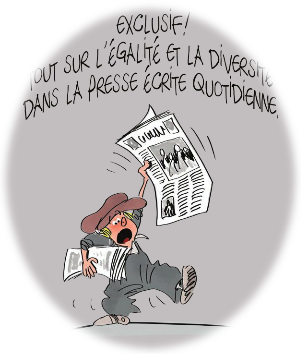 The Association of Professional Journalists (AJP) has published the first study that examines the diversity and equality in the French-speaking press in Belgium. The study examined 2225 articles of six newspapers over a period of 3 days. The Council of Europe in Strasbourg is calling for media to step up and focus more attention on the plight of people and communities who are the victims of discrimination, poverty and social exclusion.